I’m not sure I agree 100% with the dictionary but two out of three ain’t bad. Below (as promised) is a list of what I consider the best, nicest, most desirable coupes of all time. This list will of course be contentious, is fluid and had I compiled it last week or next week it would have been slightly (or maybe even greatly) different. To be considered for this highly prestigious list a car could only possess two doors ( I admit some of these could also be described as two door saloons), needed to have the horses up front and had to have a permanent roof (no B pillar and/or a sunroof could only be described as advantageous). They tended to be rear wheel drive also but this was as a result of mostly being pretty powerful/old (delete as appropriate) not as a prerequisite to be included here. I also only selected one car per manufacturer which was a lot easier in some cases than others. To preserve a modicum of sanity (no laughing down the back) I restricted the list to only 5 yet I still himmed and hawed more than ever before. 5. Ford Mustang : Horribly predictable I know and the only American here. 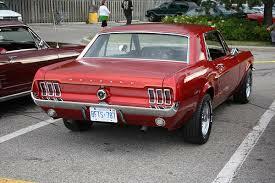 I’m not going for McQueen’s fastback though and will cast my vote for an early hardtop with a four barrel carb. Reasons? No B pillar (let’s overlook the fly window), I love the notchback style and the tail lights look way better on this than the fastback. Chunky V8 up front with barn door engineering everywhere else. Every dream garage needs a blue collar hero and this is mine. 4. Peugeot 406 Coupe : This could never be mistaken for a two door saloon. Pininfarina took a very drab mid-range French repmobile and somehow turned it into this wafer delicate portion of perfection. The only front wheel drive here and I’m deliberately overlooking the likelihood of notoriously expensive electrical gremlins adding to my mechanics wallet (after all it is French). The wafty 3.0 V6 please. You really forget how good this car still looks. 3. AM V8 : Despite the bespoke (over 1000 hours per car!) manufacturing process and all the heritage you could wish for this car can surely only be described as an old school bruiser. Power scoop clearly visible because despite the massive bonnet they couldn’t find space for the plethora (four to be precise) of double barrel carburetors. Now that’s my kind of problem! 2. 300 SE Coupe (W112) : Hands down the most difficult decision here. It could have been any one of more than half a dozen cars including of course the gullwing SL. However Geiger’s full size car which thankfully wasn’t burdened with the fintails found on it’s saloon brother’s rear wings has a presence and grace that just can’t be matched. Admittedly it was (under)powered by the venerable M189 2.8 which had plyed it’s trade since 1951 but this car is all about floating along in incomparable style. Being a straight 6 didn’t hurt either but just look at it, mesmerising no? 1. 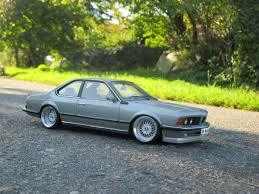 BMW M635CSi (E24) : This is it. The Daddy. Looks. Power (285 horses). Heritage. Straight 6. RWD. I checked and the internet wasn’t big enough to list all the cars that came to mind while I was writing this post. That said very close calls from other marques included a Mark 2 Honda Prelude, Audi’s original Quattro and Alfa’s early GT. Is there a glaring omission? I don’t think so but tell me if I’m wrong. Mind you I’m glad that’s over, by far the most difficult post I’ve ever written! Ford capri ? Most beautiful . Classic lines . Had the the pleasure of driving a 2.3 petrol automatic . The 406 coupe was a sleek beautiful looking car though . The 406 is beautiful in part because Pininfarina finessed every square cm of the exterior. Some of the details ought to have been on the saloon: the bumper to body joints are quite rough on the saloon. My list will have the Citroen SM, the Opel Monza, 1963 Buick Riviera, 2004 Alfa Romeo GT and Lancia Flaminia Coupe. The Bentley Continental of 1991 could be there (and not the rather nasty car currently sold under that name). The Monza has to be gold or green and from the first series: I want my chrome. Some serious cars there Richard. I love those massive Bentleys too but I think I’d plump for the Manta over the Monza. I wasn’t really familiar with the Buick but having googled it I like what I see. I love that reverse slant (shark nose) and the massive 7 litre V8. My sister in law drives one of those Alfa GTs but I much prefer the model from the ’70s. Luckily there is no danger of her reading this! I first came across that Lancia (actually it was the rare Zagato Spyder version which I know wasn’t allowed on this list) in the James Bond novel On Her Majesty’s Service. His future wife overtook him in one and he had to push his Bentley Continental to 125mph to catch her. The 1963 Riviera is a bit of a legend. The Monza is more appealing to me because it’s more GT but the Manta has its appeal and a nemesis. Can you mention Manta without mentioning the …. Capri? Don’t you think they are very different in character? It is a separate discussion, Capri versus Manta. I’ll duck it and stay with a 6-cylinder Monza with mid-green interior trim and a metallic gold exterior. Capri vs Manta. Now there’s a post. Off the cuff I definitely prefer the 3 box look of the Opel over the hatchback but that essex V6 would be hard to turn down. I think the relative rarity of a late model Manta B2 (with a very discreet bootlid spoiler) might just win me over. Your list: if there’s one car I’d pull off the list it’s the Aston. I feel it’s too American and simply so thirsty s to be a joke. And instead might I suggest a mid 60s Bristol, a 400-series car instead? 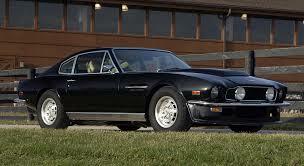 Or if you have to have insane fuel consumption a Jensen? The Bristol is better than both, I would say. Yes I do have a soft spot for some of the (eye wateringly pricey) Bristol coupes but there is a gun metal AMV8 I see quite often (in Bray). It stops me in my tracks every time I spot it. It’s presence coupled with the menacing grumble from it’s engine is just irresistible. Are Bristols so pricey compared to Astons? I am sure 20k could help you find a decent one. In fairness they are both way beyond the means of a driving instructor. I could be wrong but I thought a nice one of either could cost the bones of €100k. I sat in a Brigand in the Kensington showroom: it was 30k, a mere snip, no? 30k, eh? I stand corrected. You wouldn’t have a loan for £29,750? I grant you 30k is a lot of money compared to the price of a Mars bar. And no, I can´t afford that either, alas. There was a time when a Bristol was about five or six thousand so long as you were prepared to have one of the ugly ones. Still, plenty of people go out and blow 30k on a BMW and no-one looks twice at them. Personally I would go with the Bristol and never buy another car again. I had no idea you could ever get anywhere near a Bristol at any time for under 10k! Apart from work you would need your head examined to buy a new car from any brand. You could run an expensive car just on the depreciation of a new car. Mick there’s a fine looking Bavarian in the showroom of dunnes motors on rochestown avenue. I didn’t have time to stop and inspect but looked impressive in passing. Have a look? G.
Good spot Greg, I noticed that before. A beautiful 6 series in all it’s glory. Some day……. Hi Rajat, thanks for the comment. That A5 is a lovely car. It’s a little less powerful than I thought but I didn’t realise it produced so much torque! That low down grunt is perfect in traffic. Not much could beat you off the line I reckon. Is it the 2 door or 4 door? The 2 door is always way nicer. I talk a bit about it in my First Love post. An S5 eh? I once got a lift in an RS6 Avant and it literally took my breath away. Any Audi with an S in the name is a serious car. Totally agree with you on the petrol vs diesel question. Thanks for the website tip. Make sure to tell us when you pass the test and get your hands on the full fat, double espresso S5. I will be jealous. Rajat: as a matter of interest, what cars were on your list when you were searching? Hi Richard, i actually wants a gasoline v6 engine which should have minimum 300+ horses on it and should not be a burden on pocket in terms of co2 and mpg. Also coupe/falling roofline looks are equally important to me. So to drill down the list, i have got audi S5 3.0T, Jaguar xf 3.0 petrol, Maserati ghibli (not available in Ireland and I can’t afforf to import one from UK). Rajat, did you get the S5 yet? I even tried to convince them that i am ready to take upto 10,000€ voluntary excess still got same answer that this is ultra high end car based on their system. How on the earth can 3.0 Litre 333hp car become ultra high end? Anyways moral of the story is if you are an international professional working in Ireland then you should keep your dreams and passion for cars aside and use public transport or else but a 1 litre small car, drive it for atleast 5 years and earn no claim bonus. PS: I have tried about 10 insurance companies for the quote. Rajat, I am gutted but not surprised by that story. Did they tell you how long you would need a no claims bonus before they would insure you? Insurance companies don’t want to know unless you tick all the normal boring boxes. Can you keep the A5 a little longer or maybe get a petrol hot hatch just to tide you over till you get your hands on the full fat V6? I didn’t expect that I have to step back due to insurance scene. Anyways what would you recommend me in 2 litre class v4 cars (200 bhp min)? At least it’s only 2 years. That 2 litre turbo is a nice engine available with anything between 200 and 300 hp. It’s fitted to Skodas, Audis, VWs and Seats. It’s a straight 4 though, don’t think there are many modern cars available with a V4. You could also go for a non charged straight 6 BMW (nicer engine than a V6 imo) and theres plenty of choice around the 200hp and it will be nicer (but thirstier) than VAG’s turbo 4 cylinder. Hi Rajat. Nobody was going to stop you getting an A5! Yes you will have to pay the ludicrous rip off they call VRT. It’ll be around €7500 but you have to get revenue to value it and they take age, condition and spec into account and they don’t enter into discussion. They are a law unto themselves. You’ll need to NCT it and just pay the annual tax and then your good to go. It might not be an S5 but it’s a beautiful car to keep you going till maybe an RS? Best of luck and tell us when you get it . Great, send me a few photos and I’ll put it up on the fb page! Looking forward to seeing it.